The Dawajine tradeshow, held in Casablanca, Morocco, celebrated its 20th anniversary. As always, Moroccan exhibitor and organizer were happy to welcome over 10 000 attendees and 360 exhibitors. They organized this trade under the theme: “Poultry production, a pillar for Agriculture in Africa”. Year after year, Dawajine would be a major show in Poultry production for Africa and confirmed Morocco as a partner for African development. 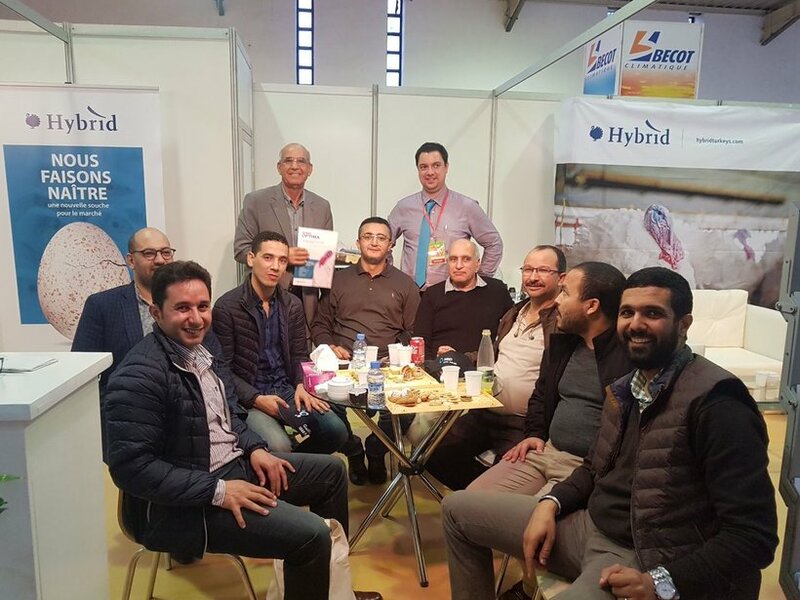 On our booth, Hendrix Genetics Turkeys France and Hybrid Turkeys were pleased to receive all their costumer and prospects from Morocco, North and West Africa; Mali, Guinea, Burkina Faso, Ivory Coast,... Moroccan poultry producers and integrators had a difficult year with low price and low demand on meat. In 2018, they expect a better market. We launched our new strain: Hybrid Optima. This new strains would be placed between Hybrid Grade Maker and Hybrid Converter to reply to the high demand on high toms body weight for producers. We also launched new performance goals for our Hybrid Grade Maker and Hybrid Converter. Thank you to everyone who stopped by the booth.